Why the design? 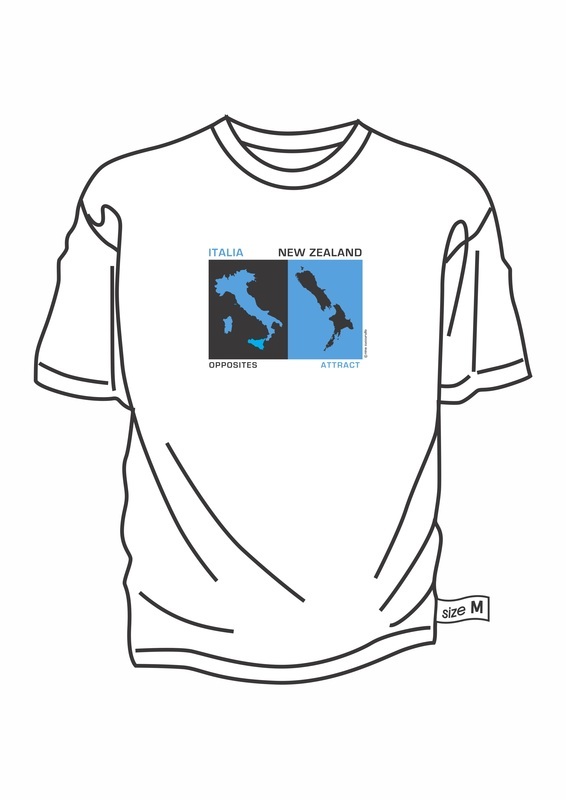 One 19th-century promoter of Italian immigration pointed out that New Zealand ‘bears a striking resemblance to … Italy, turned upside down with the foot end facing up’ and this is something I have always thought too so decided to show the connection between New Zealand and Italy through the design on the t-shirts. The colours I chose were blue for the 'azzurri' which is the colour for Italy and black for New Zealand. I added the words 'opposites attract' as we are so different in so many ways but are still attracted to each other! How to get a t-shirt? You can order your t-shirt by using the 'contact me' tab on the left menu. Please indicate your name and address and which style, size and quantity you require and if you wish to pay by cheque or bank payment direct. Price of t-shirt is GST inclusive. I will then advise you of postage and handling costs and my bank account. (NB Please choose your size carefully as you will not be able to exchange the t-shirt if it is the wrong size).